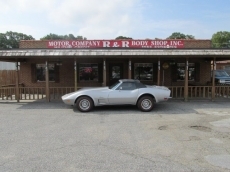 Welcome to R & R Motor Co. & Body Shop, Inc.
We are a family owned and operated dealership specializing in In-house financing. We opened our doors in 1975 and have been serving the civilian and military communities in the Tidewater area for over 42 years. If you are trying to build your credit or rebuild your credit, we can help. Low down payments. We will make your payments fit your budget.